Rick Scott defeats Democratic Senator Bill Nelson in Florida Senate race that triggered two recounts. 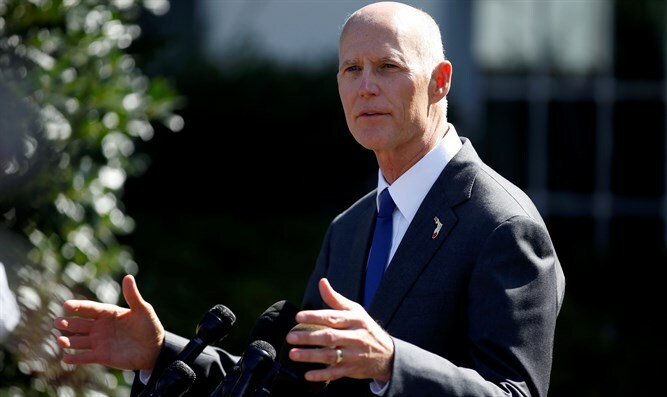 Florida’s outgoing Republican Governor, Rick Scott, on Sunday defeated Democratic Senator Bill Nelson in the state’s Senate race that triggered two recounts. The contest came to an end on Sunday as a noon deadline passed for county election officials to submit the results of a hand recount that showed Scott leading Nelson by about 10,000 votes, or 0.12 percentage points, according to The Hill. The hand recount was ordered after a machine recount showed the two candidates separated by only about 12,600 votes, or 0.15 points. Shortly after the results came in, Scott released a statement saying Nelson had called to concede. “Things worked out a little differently than Grace and I had hoped, but let me say, I by no measure feel defeated,” Nelson said in a video statement. “I was not victorious in this race but I still wish to strongly re-affirm the cause for which we fought: A public office is a public trust,” he added. Democrats had sought to use a series of federal lawsuits to challenge Florida voting laws in recent days, but those lawsuits saw only limited success in court, with a judge denying the vast majority of requests to throw out state election standards and requirements. The machine recount ended last Thursday with Scott widening his lead by less than 100 votes. But the two candidates remained separated by a scant 0.15 points — under the 0.25-point margin required to trigger a hand recount under state law. Scott is a supporter of Israel and was in attendance for the opening ceremony when the US embassy in Israel relocated to Jerusalem. Before President Donald Trump officially announced that he would be relocating the embassy, Scott was among those who called on the president to make good on his 2016 campaign promise to move the embassy. He has also spoken out against the Boycott, Divestment and Sanctions (BDS) movement working to delegitimize the Jewish state. Scott will be replaced as Governor by another pro-Israel lawmaker, Ron DeSantis, who officially won the election on Saturday when his Democratic rival, Andrew Gillum, conceded defeat. Last week, DeSantis told the Israel Hayom newspaper that his first overseas trip as governor of Florida will be to Israel and promised to be aggressive in the fight against the anti-Israel Boycott, Divestment and Sanctions (BDS) movement. During his time in the House of Representatives, DeSantis sponsored the 2013 Palestinian Accountability Act which called for the withholding of US aid to the Palestinian Authority until the PA officially recognizes Israel as a Jewish state and cuts ties with the Gaza-based terror group Hamas. DeSantis promoted the relocation of the US embassy in Israel from Tel Aviv Jerusalem, saying that Americans were “excited to see the embassy move”. In 2017, DeSantis joined other lawmakers in forming the Congressional Israel Victory Caucus.